This indicator is a very versatile and informative tool which identifies the strength of the trend as measured by the combined slope of two moving averages. Its color-coded output includes overbought,oversold, underbought,undersold, as well as trend strengthening and weakening indications. Please click here for more information on this tool. 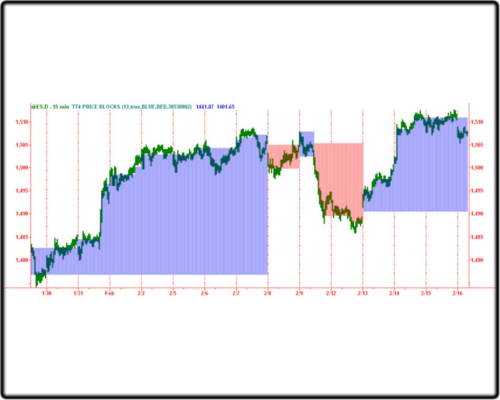 An extremely versatile and informative trend strength histogram. 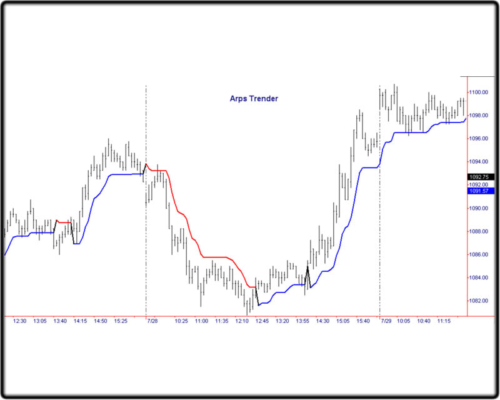 This tool is based on the average normalized slope of two user-defined moving averages. It features multi -colored plots which quickly identify the status of the trend as defined by these two averages. Please click here for more information on this tool. 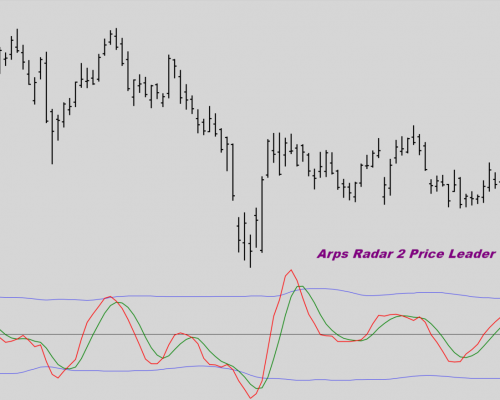 The Price Blocks PaintBar indicator is a unique and revolutionary new product by Jan Arps’ Traders’ Toolbox, which gives the user a new and powerful way to identify accumulation, distribution, as a function of price. When the trend is up, the Arps TrenderTM plots a blue line below the price bars. When the trend is down it plots a red line above the price bars. 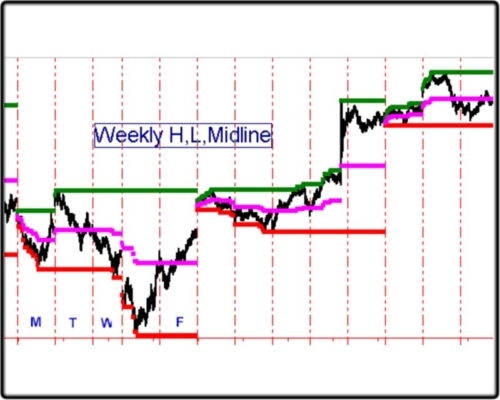 Plots horizontal dotted lines on today’s intraday chart showing last week’s high, low, and mid-point prices.